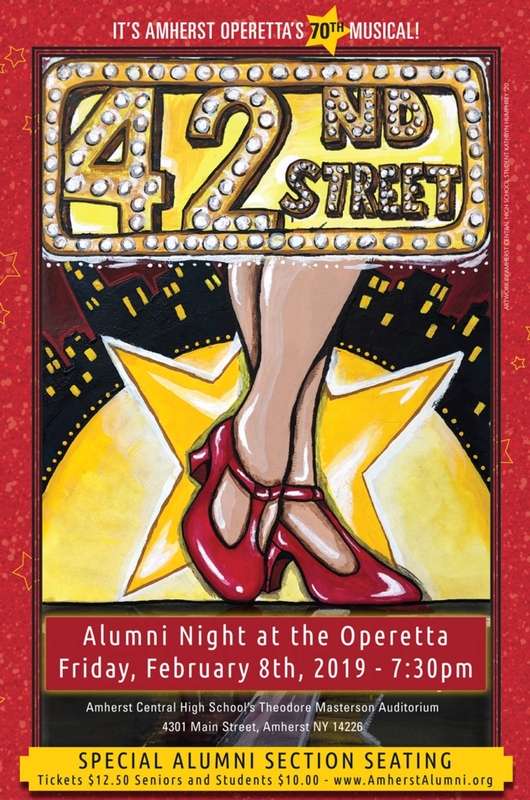 Amherst Alumni Night for the Amherst Operetta Association's 2019 production of 42nd Street is on Friday, February 8, 2019 at 7:30PM. The Amherst Central Alumni Foundation is a supporter of arts in the district, and this is our 28th Alumni Night at the Operetta. There will be a special reserved seating section for Tiger Alumni. You can make this a mini-reunion with Tiger friends and family. Join us! Deadline to purchase tickets is Friday, Febraury 1, 2019.